Punjab Public Service Commission has released an official notification regarding PPSC Recruitment 2019. The Commission invites online applications from eligible candidates for 75 Civil Judge (Junior Division) Judicial Magistrate posts. The online registration process has been started on 05th April 2019. The last date for submitting the fully filled application for PPSC Jobs is 08th May 2019. The department will select candidates on the basis of Preliminary Exam, Mains Exam and Viva Voice Test. Candidates need to go through the complete article for more information on PPSC Civil Judge Recruitment 2019. What Is The Eligibility Criteria For 75 PPSC Civil Judge Vacancy? 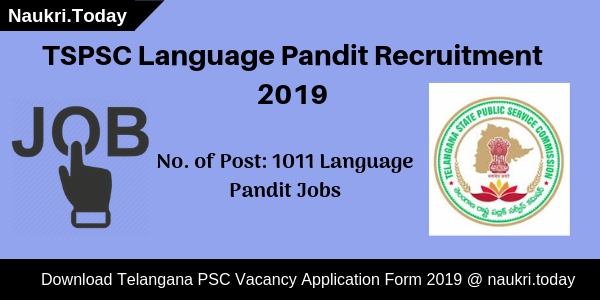 How To Apply Online For PPSC Recruitment 2019? The minimum age to apply online is 21 years. Whereas the maximum age to fill the online form is 37 years. Age limit is to be determined as on 08.05.2019. Aspirants who are willing to participate in the PPSC Recruitment must possess a Degree of Law. Candidates can check out complete details regarding the educational qualification from the official notification. The department will select candidates on the basis of three stages. These are Preliminary Examination, Mains Examination, and Viva Voice Test. Firstly, the preliminary examination will be conducted. Those candidates who qualify the preliminary examination will then be called for the Mains exam and further the Viva Voice Test. First of all, go to the official website of the department which is ppsc.gov.in. On the homepage of the official website, you will find the direct apply online link for the PPSC Judicial Magistrate Jobs. Click on the link and start filling the online form by entering only relevant information asked in the online form. Upload your scanned recent passport size photograph, scanned signature, etc. Take print out of the online form. The application fee is not yet mentioned in the official notification pdf. You must stay connected for more information on PPSC Recruitment 2019. After selection aspirants will be given a decent salary in the Rs. 27,700-44,770/- pay scale. Candidates can check out the official notification for more details about the salary. Conclusion: PPSC Recruitment Notification has been released on the department’s official website. Eligible candidates can apply online for 75 Civil Judge posts from 05.0 4.2019 to 08.05.2019. 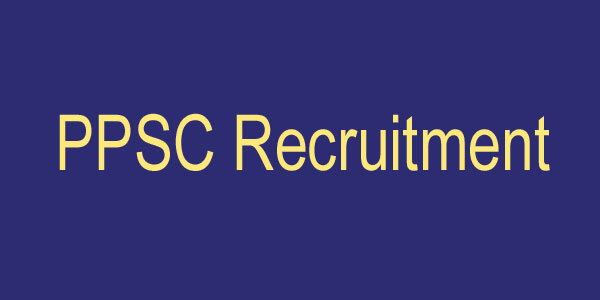 Hey Candidates, If you are looking for PPSC Recruitment 2018 then your search is over here. Punjab Public Service Commission is providing you good opportunity for 68 Planning Officer Vacancies. Candidates can fill Application Form before 21.05.2018 for PPSC Planning Officer Recruitment 2018. Applicants can check further details regarding selection procedure, qualifications, etc. from given below links. Candidates who want apply for PPSC Recruitment 2018 can check the Eligibility Criteria from given details below. These details of consist of Education Qualification & Age Criteria. Applicants can check the more details about the Eligibility Criteria from PPSC Vacancy Official Notification 2018 pdf. Participants who are interested to apply for PPSC Planning Officer Recruitment 2018 must hold Bachelor’s Degree. The Degree must be Town and Country Planning from any recognized university or institute. Candidates who wants to check post wise qualification then read the PPSC Notification Pdf 2018 properly. Candidates must have minimum age limit as 18 years old for Punjab PSC Planning Officer Recruitment 2018. Maximum age limit should not be more than 37 year old for Punjab PSC Job 2018 as on 01.01.2018. Candidates can check the age criteria through details given below for PPSC Planning Officer Job Notification. There is no Application Fees for PPSC Recruitment 2018. For further more details about the Application Fees candidates can check Punjab PSC Recruitment 2018 official Notification pdf. Candidates are going to select on the basis of Competitive Examination which will be taking by PPSC Department for the PPSC Job 2018. More information regarding Punjab PSC Planning Officer Bharti 2018 check official Notification. Candidate who got selected for Punjab PSC Planning Officer Recruitment 2018 will get salary shown in details given below. Applicants will also get Grade Pay in PPSC Bharti 2018. Candidates who want to apply for PPSC Planning Officer Vacancy can fill up the forms till 21.05.2018. Here our team is representing some simple steps through which applicants can fill up the application forms for Punjab PSC Jobs 2018 Visit the steps given below for filling Online Application Form. At Homepage you will see Advertisement pdf. Click on it. Fill up Complete Details in Application Form For PPSC. Applicants should upload the scanned images of their signature, passport size photo Online Form. Take out the print of PPSC Planning Officer form for future use. Conclusion : Punjab Public Service Commission issued a Notification for PPSC Recruitment 2018 for 68 Planning Officer and Other Vacancies. Candidates who want to apply can fill the Application Forms before 21.05.2018. Are you searching Jobs in Punjab State??? Now here is a good opportunity for you. PPSC Recruitment 2018 for 207 Inspector Cooperative Societies Posts. Punjab Public Service Commission has recently announce recruitment for 207 Inspector Vacancies. Applicants who are interested for PPSC Inspector Vacancies may apply through online mode. The Punjab PSC Online Form available here or official site from 14.03.2018. Applicants should submit PPSC Jobs Form before the last date 03.04.2018. Punjab Public Service Commission is inviting online application for 207 Inspector Vacancies. Interested and Eligible candidates can fill the application form through online mode. You can fill PPSC Inspector Vacancies form either here or official site. Punjab PSC Recruitment online form available on site till 03.04.2018. After the last date PPSC Vacancy application form disappear from the site. Desired applicants should ensure that they are eligible or not. It comprises details of education qualification, age limit and others. If you are not eligible for PPSC Inspector Vacancy, you are unable to apply online. Furthermore check given below details. Candidates who are going to apply for Punjab PSC Recruitment, must have Graduate Degree with minimum 60% Marks. The degree should be from any recognized university. For PPSC Inspector Jobs applicants also have basic computer knowledge. Furthermore check Punjab PSC Advertisement, which is also available on mention link. As on 01.01.2018 applicants should be equal or more than 18 years. The maximum age require for PPSC vacancy is 37 years. Upper age relaxation is also applicable as per Punjab govt. norms. Details of upper age limit is mention of PPSC Notification 2018. All participants need to pay online application fees, which is Rs. 500/-. Category wise examination fess details are mention on below table. After submitting PPSC Online Form you must download challan. The system generated challan should be submit to any SBI branch only. Furthermore check PPSC Advertisement carefully. Applicants will selected only their performance in Written examination. No Interview will not organize for PPSC Recruitment 2018. A competitive examination organized for Inspector Cooperative Societies post. The examination will going to held on May/June 2018. There will be 170 questions and each ques. have 02 marks. 100 question ask from logical reasoning and mental ability. 70 questions ask on General knowledge, current affairs and History. After selection of candidates they will receive monthly salary. The Pay Scale for Punjab PSC Vacancy is Rs. 10300/- to Rs. 34800/- + Grade Pay. 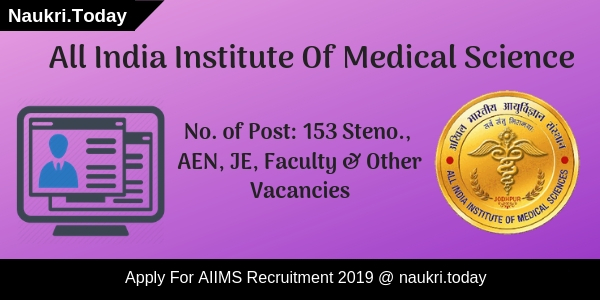 Candidates who are interested and also fulfill eligibility criteria may apply through online mode. If applicants find difficulties how to apply online can follow some given below steps. Here in below section we help you to apply online for Punjab PSC Recruitment 2018. First of all visit to official site www.ppsc.gov.in. Download Punjab PSC Advertisement for Inspector Cooperative Societies. First read notification carefully and then click to apply online link. You can direct apply online for PPSC Recruitment 2018 from below kink. Enter all required detail such as educational & personal. Upload all required documents & then submit your PPSC Inspector Recruitment form. Take print out of it and then deposit application fees. Send your hard copy to PPSC before on 17.04.2018 with challan. One hard copy keep own for future reference. 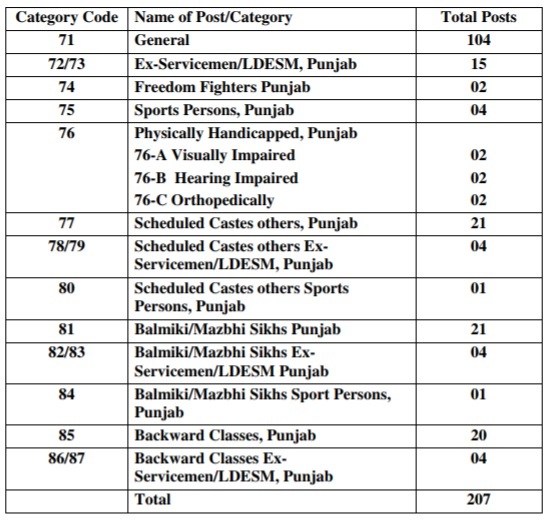 Conclusion : Punjab Public Service Commission notification for filling up 207 Inspector Cooperative Societies Vacancies. Apply online for PPSC Recruitment before the last date 03.04.2018. All information of Punjab PSC Jobs available on above section.